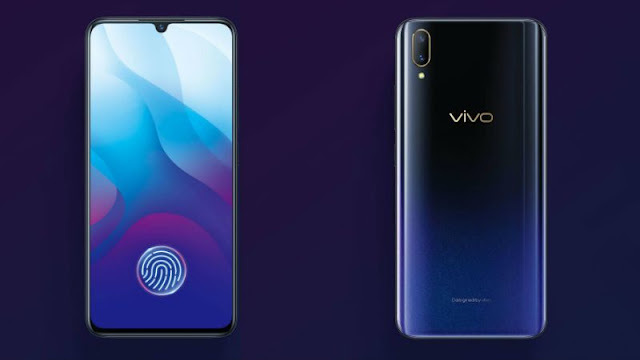 Before the launch event in India on September 6, the Vivo brand has launched its VivoV11 smartphone in Thailand. In this market, Vivo brand has released two new variants - Vivo V11 and Vivo V11i. Based on the leaked old information, it can be said that one of these variants will be launched in India by the name of Vivo V11 Pro. The new Vivo smartphones are equipped with Waterdrop display notch, under display fingerprint sensor and other work features. All the specification of the phone from the official listing has definitely become public. Vivo V11 Pro in India can be priced at around Rs 25,000. Sales will be on Amazon. Vivo V11 will be launched first in the Indian market after Thailand. After this, it is expected to be made available in other international markets. Vivo V11 handsets will be available in Nebula and Stary Night colors. Vivo V11 is priced at Rs 21,800 in Thailand. At the same time, Vivo V11i will be sold for around 30,600 rupees. In India, the price of this VVV11 Pro can be in the price segment of 20,000-30,000 rupees. Dual SIM Vivo V11 runs on Android 8.1 Oreo-based on Function OS 4.5. It has a 6.41-inch full-HD + (1080x2340 pixels) Super AMOLED display. Its aspect ratio is 19.5: 9. The smartphone uses the Octa-Core Qualcomm Snapdragon 660 processor. Clock speed is 2.2 GHz. Remember that Vivo V9 comes with Snapdragon 626 processor. The new phone has Adreno 512 GPU and 6 GB RAM has been given. The Vivo V11 has dual camera setup on the previous part. The primary sensor is of 12 megapixels and the secondary sensor is 5 megapixels. This setup was found in Vivo X21 and Vivo Nex S. There is a 25-megapixel sensor on the front panel, with the AI based features. The Dual-SIM Vivo V11i will run on the OS 4.5 based on the Fontech OS5. It has a 6.3-inch full-HD + (1080x2280 pixels) Super AMOLED display. The smartphone uses the MediaTek Helio P60 processor. Along with 4 GB RAM has been given. Vivo V11i is also a dual camera smartphone. On the back side, a sensor is 16 megapixels and the secondary sensor is 5 megapixels. The front panel has a 25-megapixel camera with an AI feature. Vivo V11i's inbuilt storage is 128 GB, and it is possible to use a microSD card of up to 256 GB if needed. The smartphone has a 3,315 mAh battery. It comes with quick charge support. The connectivity feature includes Wi-Fi 802.11 AC and Bluetooth 5.0. Its dimensions are 155.97x75.63x8.1 millimeters and weighing 163 grams.